$999 Seen a lower price? The adjustable low note range function allows you to set the fundamental diatonic note of the instrument to what you need--low D xylophone? No problem! The malletSTATION is powered exclusively by Mac, PC, iPad, iPhone, and Android devices through USB Bus Power, allowing performance almost anywhere with minimal set-up and equipment. Designed in collaboration with Keith McMillen Instruments, malletSTATION's tech-forward design features KMI's Smart Fabric Sensor technology allowing the silicone bar material to have an extremely sensitive, natural response, including mallet dampening and aftertouch control, and all can be easily tailored to your individual playing style. The EM1 malletSTATION is also the most affordable mallet percussion controller on the market. The ultra-thin, lightweight chassis allows for easy portability, and the flexible mounting options provide many different ways of using your instrument. This is the only controller that will grow with you throughout your playing career--from music apps on your phone or tablet, to professional digital audio workstations and sound libraries--your sounds, and even the instruments you play, are only limited by the software you run. 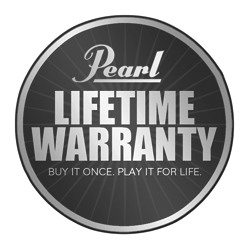 Same Day Music is an authorized dealer of Pearl products. Available until 11 PM (EST) today. Mention special code 205-6F3Y when you call.